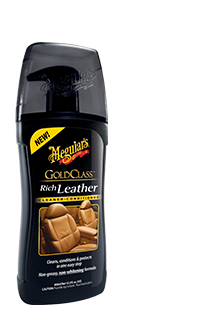 Premium blend of moisturisers and nutrients leave leather looking and feeling rich, soft and supple. The unique formula gently cleans as it nourishes and protects all types of leather. There are no solvents or irritating detergents and the long-lasting formula is water-resistant to help protect against spills, UV damage and heat exposure. Also works great on couches, luggage, briefcases, jackets, handbags etc. New GEL FORMULA leaves no white residue.